If you're going to have the chutzpah to hack Chris Colfer's Twitter account, you best be ready to handle his biting sass. Because nobody, and I mean nobody, plays with Kurt and gets away with it. In a recent interview, Chris Colfer spoke about the Twitter hacking incident and he ain't happy. I'd be lying if I said I didn't initially have a conniption when I read the infamous tweet about Colfer supposedly leaving Glee, but, as we pointed out, despite our stellar logic and sensibility, the suspicious statement did kinda look and seem real. 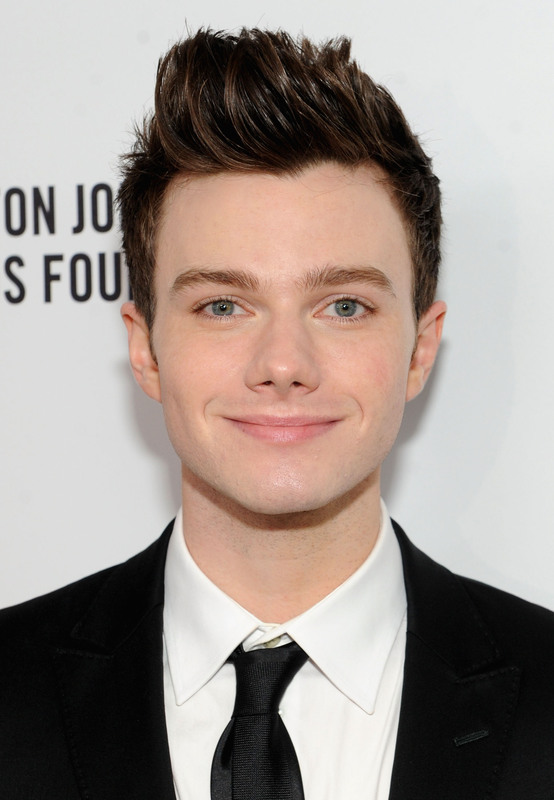 If nothing else though, the Internet implosion just proved how much we all love Colfer and his character, Kurt. And it's never a bad thing to know you're appreciated, right? While he may understand that notion, and feel all warm and fuzzy inside because of it, it doesn't mean he's going down without a fight. In true Colfer fashion, he took another Golden Globes-like stand against the bullies, naysayers, and hackers and gave them a piece of that beautiful mind. In an interview with Entertainment Weekly, Colfer candidly said, "Whoever this A-hole was that did this knew that I was going to be on this plane and I couldn't be reached. So as soon as I landed, my phone just exploded." When asked about on and off screen bestie, Lea Michele's hack in which a fake tweet claimed she was pregnant, Colfer explained that he took comfort in their mutual Twitter misery and tweeted at her, "apparently I'll be free if you need a babysitter!" But, while Colfer and Michele may leave it at that, we're more confused than ever. The hacker knew enough that Colfer would be on an all-day flight and couldn't be contacted? And someone also hacked Michele's around the same time? And no one is that concerned about it? It almost sounds like an inside job, or the work of an expert stalker. The perpetrator must have to be pretty devious and incredibly in tune to Glee's goings on even in the off-season. So who could it possibly be?! Who would have the wherewithal to do such a thing? !